Wait… WHAT?! 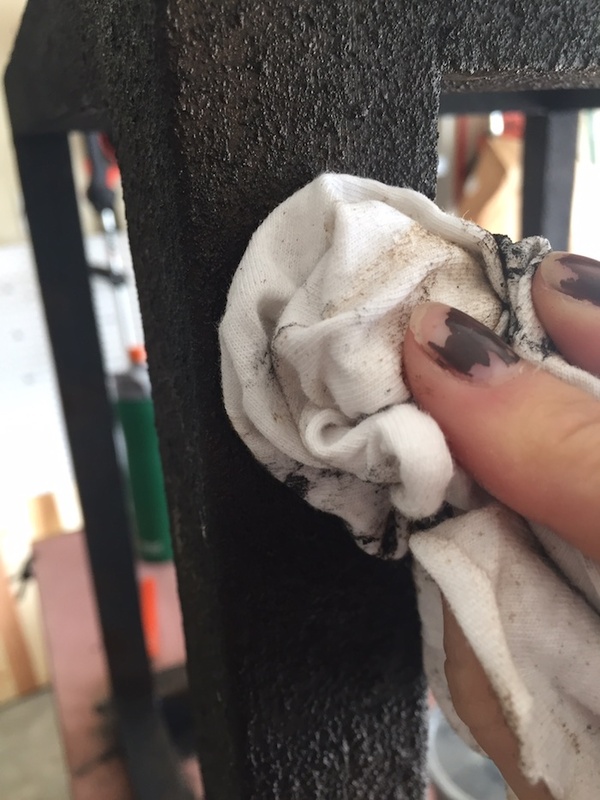 Wood that looks like iron?! No way! Is this real life!? How?! Wait, can I do this? 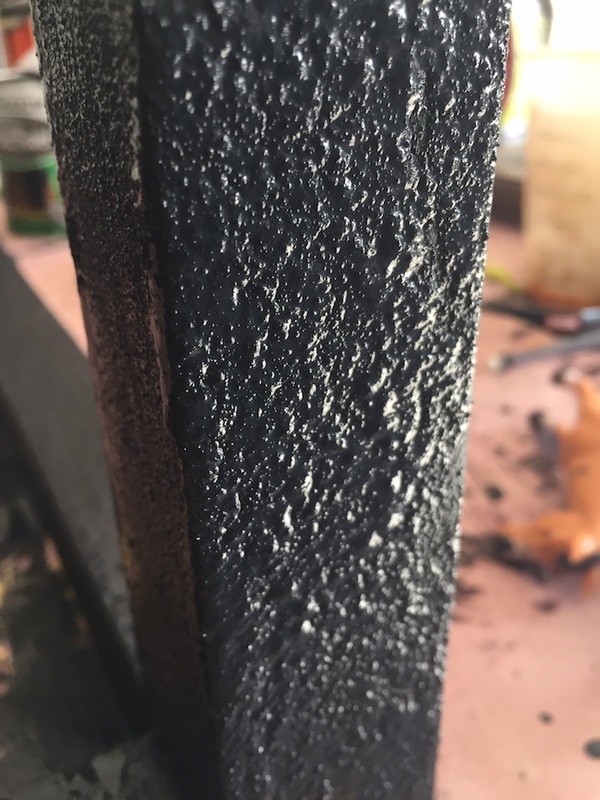 That’s is how I felt when my mind was being blown away with this awesome faux finish I saw on a recent trip NC. 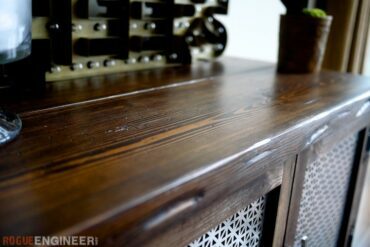 We were lucky enough to travel to Hickory, NC with Rust-Oleum to get a peek into some fine wood finishes and test out some awesome new upcoming products! 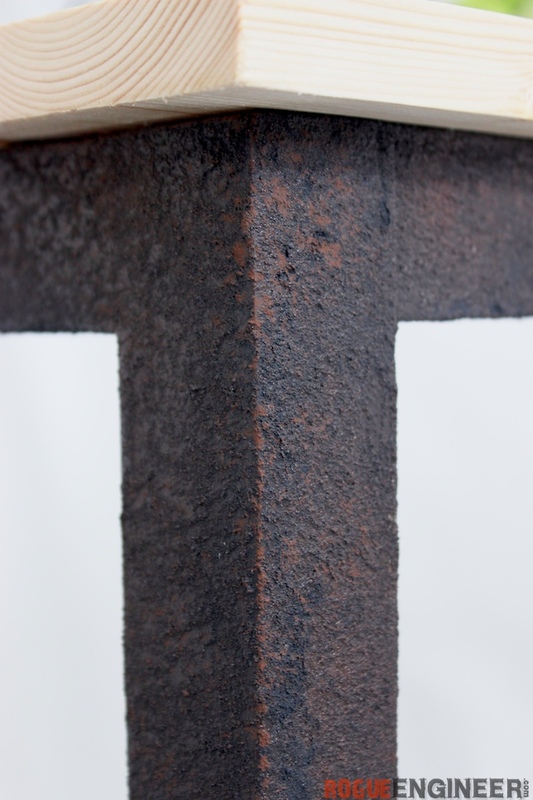 When I got home I immediately went to work on figuring out how to recreate this awesome corroded iron finish. 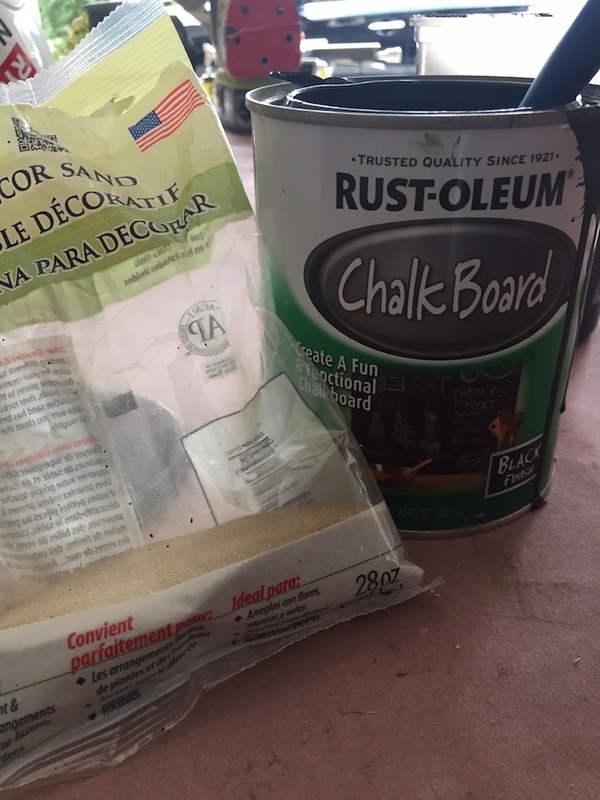 Mix 1 part sand into 2 parts chalkboard paint. 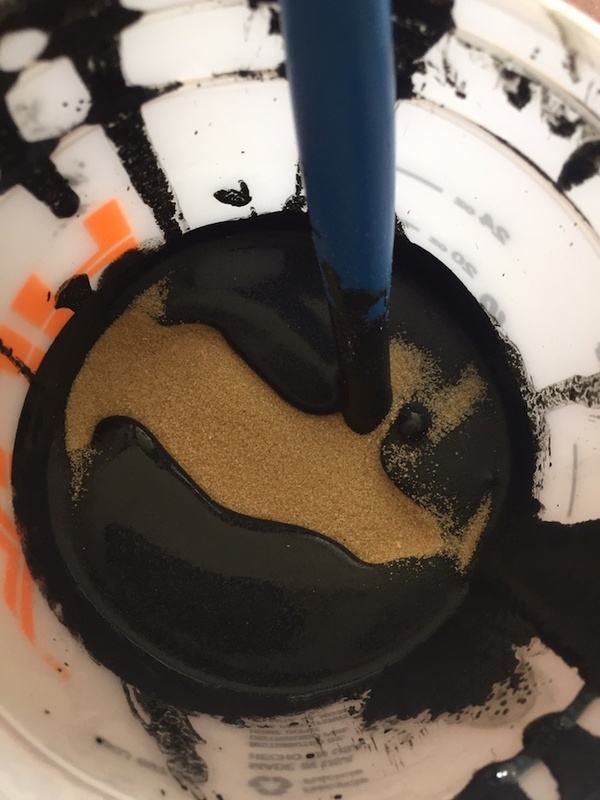 I used the chalkboard paint not only to get the matte finish, but the density allowed the sand to mix into the paint evenly. 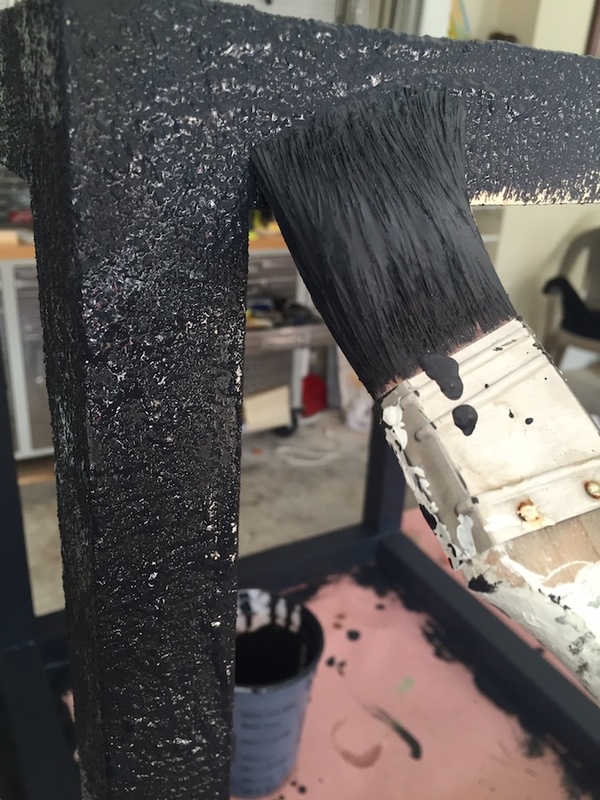 Dip the paint brush into the textured chalkboard paint, get a thick coat on the brush and apply to your wood surface. 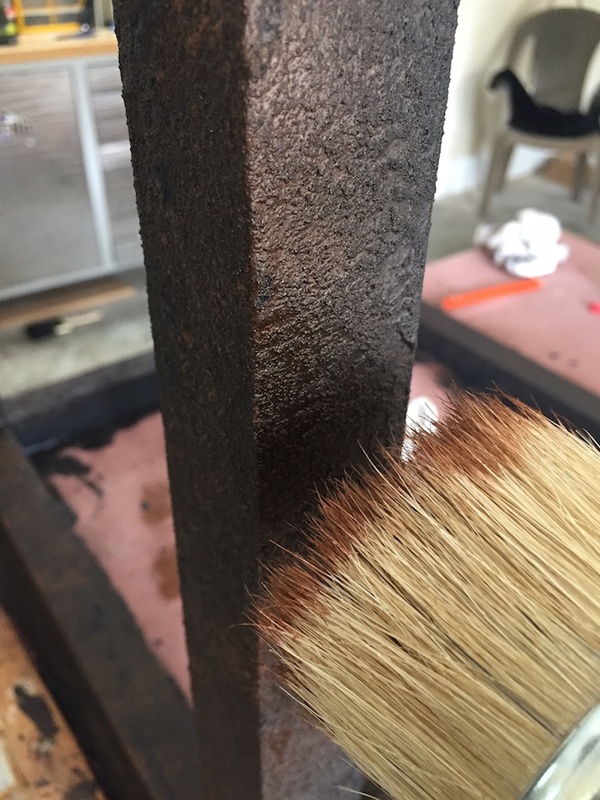 Brush on to coat the surface, then dab with the brush to add more texture. Allow to dry completely before moving onto next step. 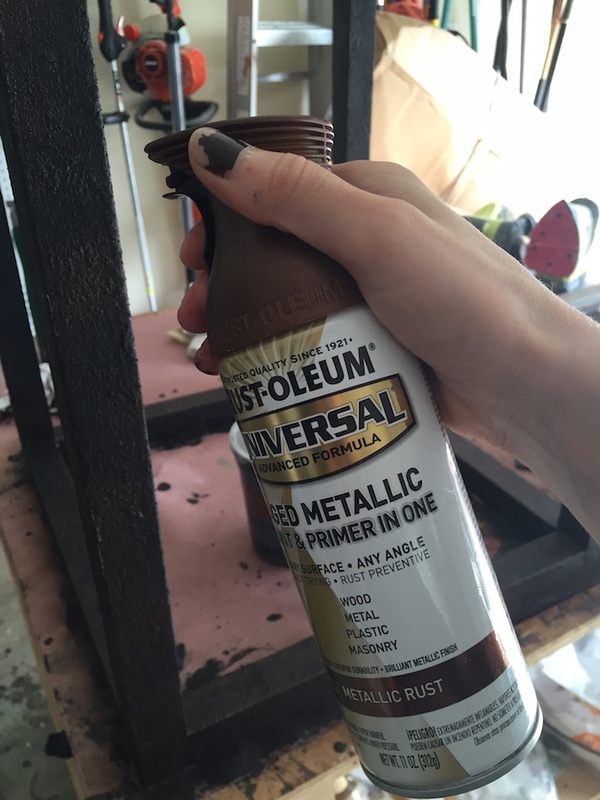 To add a metallic element I spray painted in small sections using Rust-Oleums Metallic Rust, then dapped off with a stain rag. 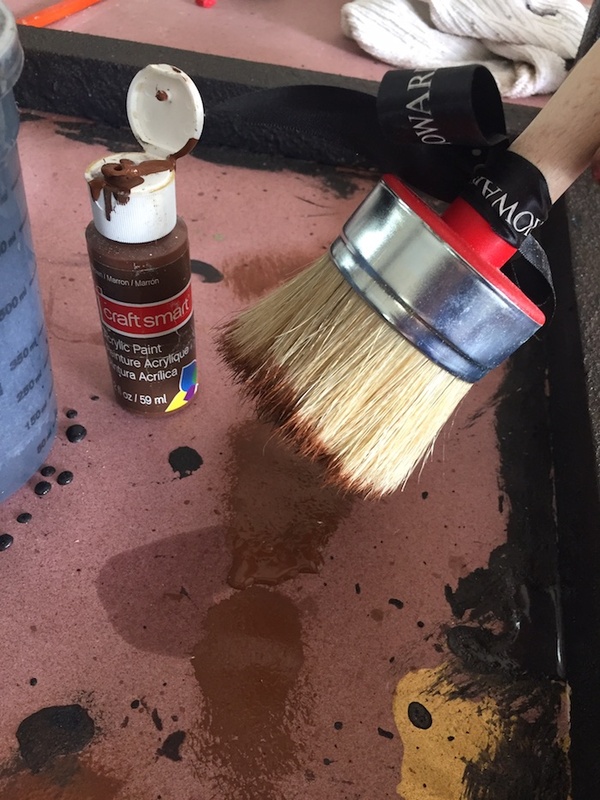 Dip brush in small amount of acrylic paint, and dab onto paper or rag to get off excess paint. Tap the brush onto the surface. 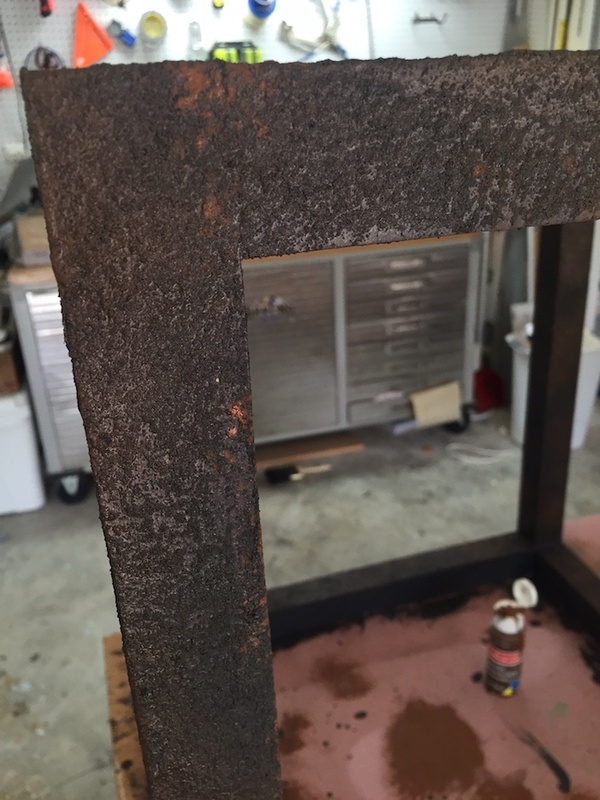 Add more or less “rust” to your liking. So with some trial and error, I think I got it nailed down. 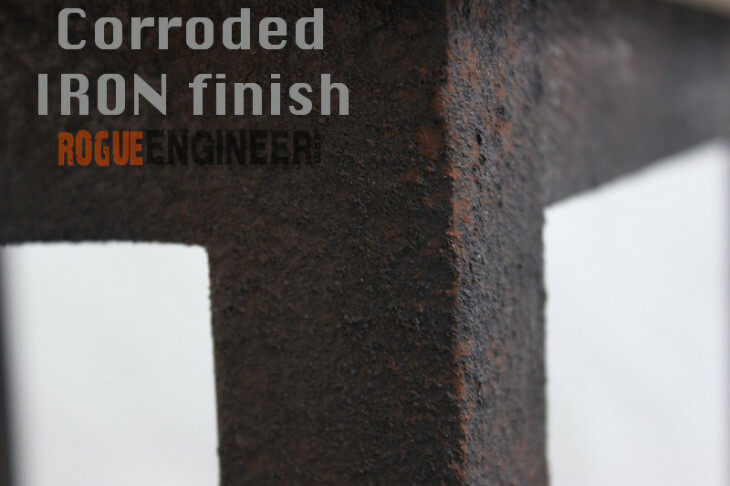 Hope you enjoyed, and be sure to keep checking for more awesome finishes here!